Nissi Motors specializes in all BMW and M service, repair and maintenance. 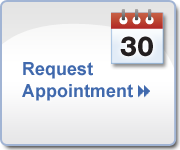 In order for your BMW to perform at its optimal levels, it is very important to keep the long-term health of your BMW with regular schedule maintenance. More importantly, the safety of you and your passengers comes first; therefore, our ASE-certified technicians use specified tools and instruments along with detailed technical literature and OEM genuine BMW parts that will keep your BMW, a BMW. You can print the form beforehand and bring it to Nissi Motors so that we'll know what is your requested service ahead of time.